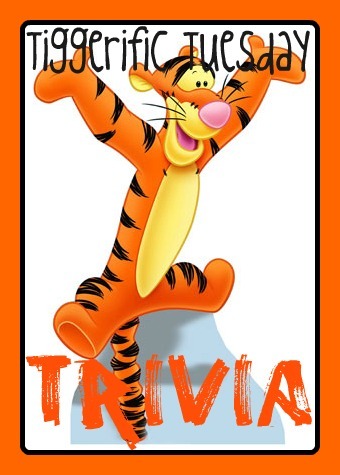 Disney Babies Blog: Tiggerific Tuesday Trivia! Welcome back for another fun blog hop of great Disney Trivia with my friends - Jodi from Magical Mouse Schoolhouse, Heidi from What's Going on in Heidi's Head, and Mike from My Dreams of Disney! The voice of Goofy in Mickey Mouse Clubhouse (and all Goofy appearances since 1987), Bill Farmer, is also the voice of Pluto! In a recent podcast interview with the guys from Communicore Weekly, he said that he always has to record Pluto last so he doesn't blow out his voice! I did not know that! Those voice actors are so talented! Thanks for hosting!